Nowadays most of the people are suffering from hypertension which is one of the most common health problems and the major factor of heart strokes. But due to the regular hectic schedules, it is not possible every time to visit the doctor’s clinic to get the measurements of your blood pressure numbers. Here comes the very useful gadget Blood Pressure Monitor. And welcome to the blog which is all about best Blood Pressure Monitors for home use. With them you can easily track your actual blood pressure numbers from the comfort of your home without going anywhere. Knowing your blood pressure numbers, you can change your diet and lifestyle and also take the proper medication for a healthy life. 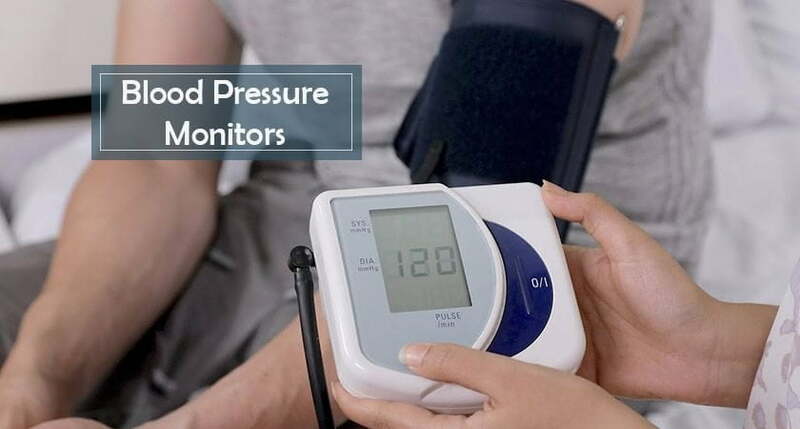 Blood Pressure Monitors can give you the timely supervision of your blood pressure and heart rate and thus tends to live a healthy and tension-free life. Modern blood pressure monitors are of the digital type and very convenient to use.Some of the latest models are also featured with the Bluetooth connection that transmits data to your smartphone for easier health trend tracking. To get an in-depth information on Blood Pressure Monitors, please head to our Buying Guide Section. 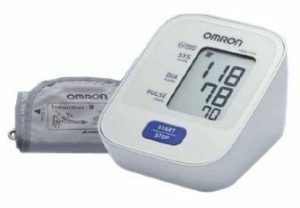 In this blog post, we have covered the latest and best digital Blood Pressure Monitors for home use from the well-known brands like Omron, Dr. Morepen, Panasonic, etc. These models are accurate, compact, and lightweight and also very easy to use at home. Just have a quick look on all these best blood pressure monitors for home listed in the table. Here we have detailed the full review of all these models of blood pressure monitors for home along with their specifications and buyers feedback so that you can choose the best one. Omron is one of the reputed brands for selling healthcare products. And this multi-purpose and multi-utility device from Omron aids you in keeping a proper and regular check up on your blood pressure levels. This device lets you measure your blood pressure level and pulse rate very simply and quickly. It comes with a large display to show your vitals clearly and accurately. The device is easy to use and gives correct and accurate measurement every time. 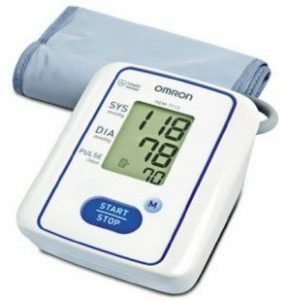 The Omron HEM7113 Automatic Blood Pressure Monitor provides you with the basic upper arm blood pressure measurement. The device is designed to be extremely simple and easy to use even for elder people. Its one-touch operation makes taking readings convenient. This BP monitor can record up to 14 sets of readings. And this lets you track your health referring to the previous readings. 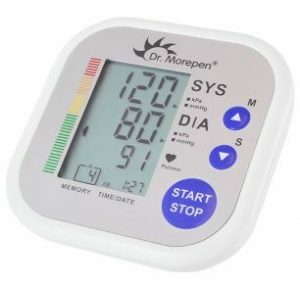 This Blood Pressure Monitor from Dr. Morepen helps you to measure systolic and diastolic blood pressure as well as the pulse rate using the oscillometric method. It comes with an upper-arm cuff which is used to take BP measurements. Its memory function allows you to store last few readings of your blood pressure to monitor the trends. The very best part of this device is that it automatically switches off when not in use and thus saving the battery power. 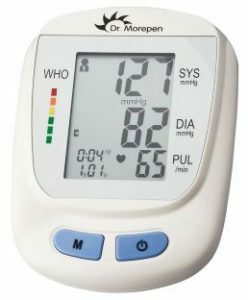 This is another best blood pressure monitors for home use from the brand Dr. Morepen. It provides an easy way to get the measurement of your pulse and blood pressure levels. This device accommodates consumers with even larger sized arms. It also features the irregular heartbeat detection that provides the accurate measurement of pulse rate and blood pressure levels even when an irregular heartbeat occurs. It comes with a large display and also larger buttons for easy operation and thus making it a reliable, speedy and convenient device to use at home. This is one of the unique and stylish blood pressure monitors for home from HealthSense. it comes with a host of unique features. It has a large LCD screen with latest oscillometric technology that helps to give accurate measurements. This blood pressure monitor also features irregular heartbeat detection, body movement detection, WHO compliance in voice command, alarm function for BP check Reminder, error and low battery indicator. This is the first Indian digital blood pressure monitors with unique Talking function. 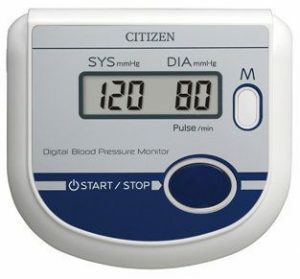 This Automatic Blood Pressure Monitor from Citizen perfectly combines the features like ease of use, comfort, and precision that could keep your blood pressure in a track on a daily basis. Clinically certified, this Blood Pressure Monitor displays genuine and precise measurement readings. It also incorporates automatic measuring feature that helps in obtaining quick and accurate blood pressure measurements. It is also equipped with an auto shut-off feature that enhances the battery life as it automatically turns off when not in use. Measuring your blood pressure level more precisely and accurately is now getting very easy with this smart blood pressure monitor from the brand Dr. Trust. It comes with the dual talking feature in both Hindi and English language for those who have weak eyesight. The device lets you measure systolic BP, Diastolic BP, and pulse rate with an ease. Plus, its universal conical cuff for the arms provide you the accurate results every time. The device also provides you the facility to save data of unlimited users in its memory, so no worry about to record the data manually. 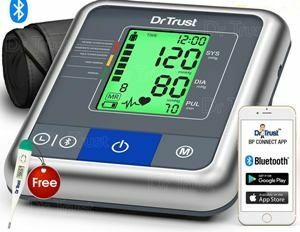 This blood pressure monitor works with the Dr. Trust app that lets you connect the device to your iOS and Android phone for easy usage. Moreover, you can also easily share your BP measurements right to your family members or doctor by email with a simple one-touch button. The next comes this advanced digital blood pressure monitor from the brand MCP. The device offers highly accurate hypertension monitoring as well as also aids in detecting irregular heartbeat. The very best feature of this digital blood pressure monitor is its talking function that makes it easy to operate. The device responds quickly to your inputs and displays accurate information only. 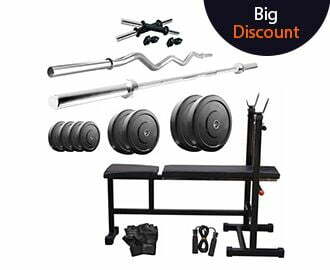 It is also equipped with the latest and improved oscillometric technology. To remind you for the blood pressure checking, the device also comes with the alarm function. This upper arm blood pressure monitor is yet another smart choice to monitor your blood pressure from the comfort of home. This one measures directly at heart level and therefore offering you the precise and accurate measurements. Its ergonomic design and easy to use single one-button operation makes the device an awesome one. It comes with the four user capacity and thirty memories spaces per user. Plus, its XL LCD screen shows you the real-time measurements with its blue backlit display and therefore making the readability more clear. In terms of accuracy, this blood pressure monitor from Panasonic is the best one. This wrist type blood pressure monitor is clinically tested for measuring accuracy. It provides the convenience of keeping track of your blood pressure levels and also detects the body movements. This Blood Pressure Monitor also features a warning function to indicate arrhythmia, an irregular pulse, incorrect movements during measurement and high pressure. It also features a large LCD Display that has optimum legibility. It comes with an option to save up to 90 readings at any time for future references. Manual or Sphygmomanometer- This standard Blood pressure measurement tool is normally used in hospitals and clinics. It comes with a cuff that is inflated by squeezing a rubber bulb, a dial gauge along with a needle, and a stethoscope to get the blood pressure numbers. Digital- Digital BP monitors, are battery operated and have a cuff, a valve, and a pressure transducer that transforms the pressure to electrical signals. These monitors show your blood pressure levels on the screen and are available as fully automatic versions with a cuff that rises at the press of a button. Digital Blood Pressure Monitors are available in different types including arm-type, wrist-type, and finger-type. This one is best to use at home and gives the accurate results. Look upon the following features while searching for the best blood pressure monitor for home use. Like most of the health gadgets, blood pressure monitors can range from the simple to fairly complex operation. Go for the one that you can easily operate to take the blood pressure measurements from the comfort of your home. We have already discussed about different types of blood pressure monitors for home. So you can easily choose between automatic/digital or manual machine. Digital Blood Pressure Monitors are the most fair choice as they require only the simple press of a button to record measurements. On the other side manual blood pressure monitors must be pumped by hand using a rubber bulb which is fairly difficult to use. Even the consideration of these two types in a digital blood pressure monitor is also very much important. Wrist type blood pressure monitors are smaller, lighter, and portable. And also provides you with the ultimate level of comfort. But in order to get the more consistent results, upper arm blood pressure monitors are considered to be the best choice. Go for the blood pressure monitor that can record both systolic and diastolic pressure. These numbers are the records that come together when the pressure is checked (for exp. Like 120 over 80). Pus, you may also consider the device that can measures your pulse rate too. Appropriate cuff size is very much important for the most precise readings. All upper arm blood pressure monitors require cuff for measuring the blood pressure. Although they are adjustable, you must consider the one that fits your arm perfectly. If the cuff size is too large or too small, you will not get the accurate readings. Most of the advanced models of blood pressure monitors come with other smart features too like track and graph your data, restore the readings for further use, connect via your smartphone or tablet, talking function, and even can track the records of multiple users.